The state of Delaware attended the 1990 Strategic Planning Institute hosted by the Smithsonian Science Education Center in Washington, DC. Tonyea Mead shared her perspectives on what has taken place in Delaware since. In June of 1992 Dr. Pascal D. Forgione, State Superintendent of Delaware Public Schools, initiated a standards-based reform effort and appointed a 45-member commission to develop science content standards that would define what students needed to know, understand, and be able to do to be scientifically literate. Over the next three years, this commission, which included teachers, school administrators, scientists, business leaders, curriculum developers, parents, students, and college faculty from across Delaware, participated in an open and iterative standards development process. I was a teacher on loan for Delaware Department of Agriculture, so I had the opportunity to participate in creating these standards. The standards were officially adopted in June of 1995 by the Delaware State Board of Education. Involving Delaware teachers in critique and review during all phases of development provided commission leadership with an important assessment of the status of science education in Delaware. More importantly, this process clearly identified the professional development needs of Delaware teachers. Based on extensive evaluation by elementary teachers, plus additional teacher interviews and focus group discussions, the key barriers to successful implementation of the standards were identified as follows: lack of subject-matter competence to teach all the content; inability to translate the curriculum framework into coherent, integrated local curricula; scarcity of materials, equipment, and technology to conduct activity-based science; inadequate allocation of time for elementary science; and lack of opportunity for any sustained, coordinated professional development. These surveys and discussions also found that up to 60% of the elementary teachers had not taken a science course since leaving college. "The coalition also developed a unified vision and a five-year plan to implement the five elements identified by the NSRC as central to an exemplary science education program." By June of 1995, it was apparent to commission leadership that a systemic partnership involving business, higher education, the state, and local districts would be required to address these challenges and successfully implement the standards was well as raise student performance. Seven superintendents, representing both urban and rural districts, agreed to coordinate their efforts and promote system-wide changes in science education. 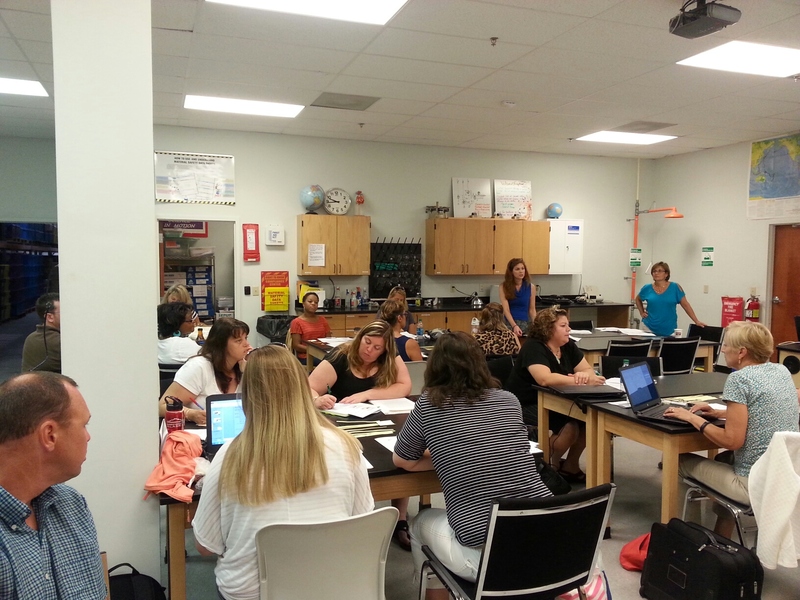 A seven-district Delaware Elementary Science Coalition was formed with the responsibility for recommending how to improve curriculum and instruction based on the standards and how to support professional development activities aligned with the standards in the best ways. In accordance with the systemic nature of Delaware’s reform, the superintendents selected diverse teams of teachers, administrators, and curriculum directors to participate in the planning process. I was one of the teachers selected from the Indian River School District, Selbyville, Delaware. I had heard another teacher speak at a county meeting, and she talked about where science was going to go in the state. She told us we could get involved by contacting our district level administrators, and so I did. In the summer of 1995, seven school district teams representing the Delaware Elementary Science Coalition attended the Elementary Science Leadership Institute conducted by the Smithsonian Science Education Center (SSEC) in order to learn more about successful systemic change and to review elementary science curriculum identified by the SSEC as being exemplary. The coalition selected STC modules as best suited for year one of the pilot project. The coalition also developed a unified vision and a five-year plan to implement the five elements identified by the SSEC as central to an exemplary science education program. The DuPont Company provided financial support and technical assistance in developing the application and preparing the teams prior to their participation in the Leadership Institute. 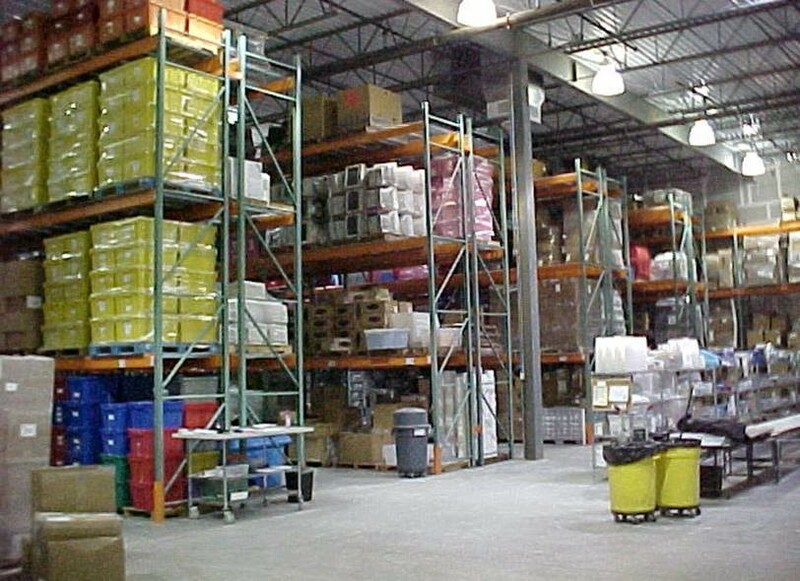 Science kits are inventoried and refurbished in state-run warehouses like this one. "Since we have a Coalition of different stakeholders, together we can address these issues from different perspectives. It is important to have a shared vision and clear goals. It is important to include all stakeholders in the implementation plan for moving it forward and celebrating minor milestones along the way." It is now 2015, and we have all 19 Delaware school districts and 24 charter schools as a part of the Delaware School Coalition. We offer more than 300 science trainings a year, and we house and maintain more than 60,000 science kits for our Kindergarten through 10th grade teachers. 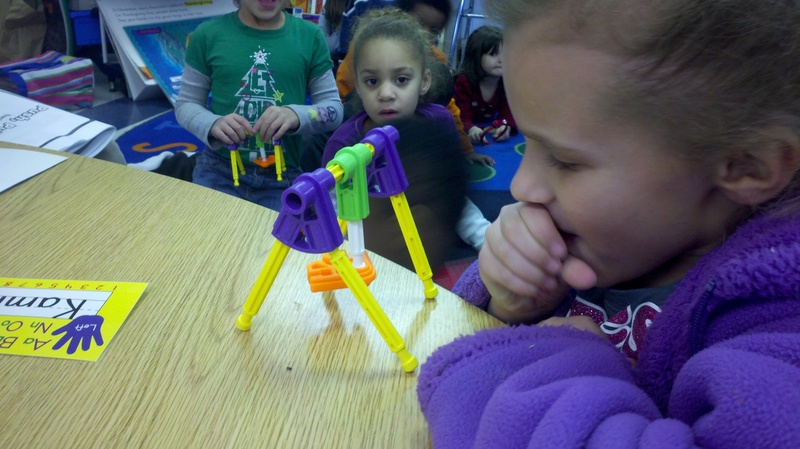 We have expanded into offering Engineering is Elementary (EiE) kits to our elementary teachers. All teachers must take professional development in order to receive materials. I am now the State Science Supervisor. I worked my way up from classroom teacher, to a science specialists in a district, to a teacher on loan, to an administrator, and am now State Science Supervisor. 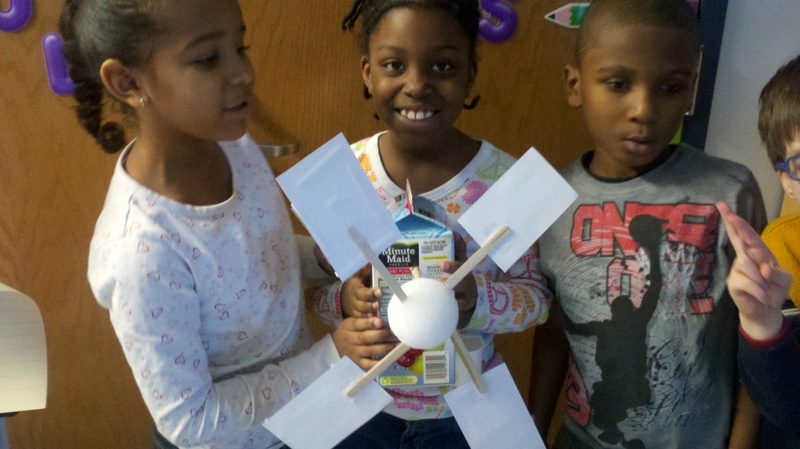 We face some challenges, including the adoption of the Next Generation Science Standards (NGSS) (). We are now retraining teachers on NGSS. We have two cohorts of NextGen Teacher Leaders for a total of 174 teachers who meet on a monthly basis and work on updating curricular units, building capacity, and aligning assessments. Money is also always a challenge. However, we receive money from both the state budget and each district every year. Keeping the Delaware Science Coalition Curriculum Directors up to date when there are other pressing issues is a challenge because Common Core standards and state testing take precedence over science. To address this challenge, we try to communicate as much as possible about the importance of science education and that science goes hand in hand with Common Core. Scientists write, read, and use math and productive dialogue every day. Since we have a coalition of different stakeholders, together we can address these issues from different perspectives. It is important to have a shared vision and clear goals. It is important to include all stakeholders in the implementation plan for moving it forward and celebrating minor milestones along the way. The most important is to stay the course! I think what is really special about the Delaware Science Coalition is that if there is a challenge, different team members emerge and become that leader to get us through that challenge. Everyone works together to help solve challenges and forge through it. There are a lot of really good things going on in Delaware! Tonyea Mead is the Science Education Associate for the Delaware Department of Education where she oversees PK-12 science education for the state. She manages professional development on curriculum, assessment, and classroom management in science.